Since as long as I can remember I have had some sort of needle or tool in my hand: whether it be sewing, making jewelry, and now crocheting, creating has always been an outlet for me to not only expel my creativity but to battle what now would easily be labeled ADHD and OCD. 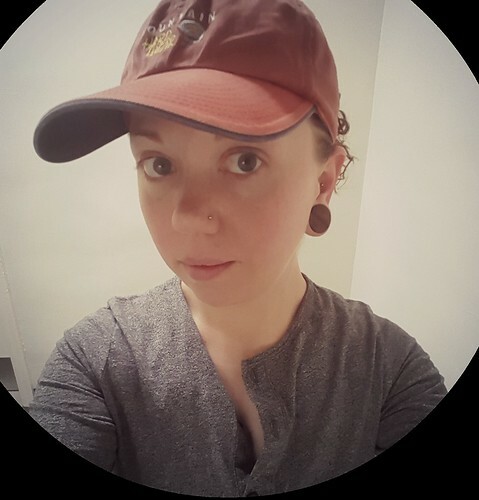 I was always pretty good at making things so eventually I began selling my crafts: first making and selling friendship bracelets at school (and getting into trouble for it), selling at yard sales and craft fairs when I was a bit older, and finally venturing into the world of ETSY selling my crafts. Anyone who knows anything about ETSY though understands that it has grown from a small base where lovers of handmade goods bought from people who liked to make handmade goods in their free time. Photos were ok at best, but you ended up with a completely cool and one of a kind hat or bracelet or watch. Now, though, ETSY has grown into this highly competitive and over saturated market where unless you spend eight hours a day perfecting your photos, bombarding social media with "likes" and coupon codes and blogging and knowing exactly what words to put where in your item descriptions to get those algorithms to put your items at top you simply won't get the traffic to your shop any more. It has become entirely too frustrating to people like me who 1.) already have a full time job that keeps us from being able to do these things for eight hours a day, 2.) have another eight hours of responsibilities and/or a life outside of the crafting we try to do in our "free time," and/or 3.) may not have the equipment or knowledge to make our simple shop look like something from an American apparel catalog. It has taken something that we like to do and put so much pressure to be what ETSY and its shopper "want" (meaning what social media wants them to be) and caused so many people to loose the love of what they do. Sad. One way around all of the pressures of perfection brought upon by the ETSY and Pinterest perfect crowds that I have found is to take time every month and make some things for charity. 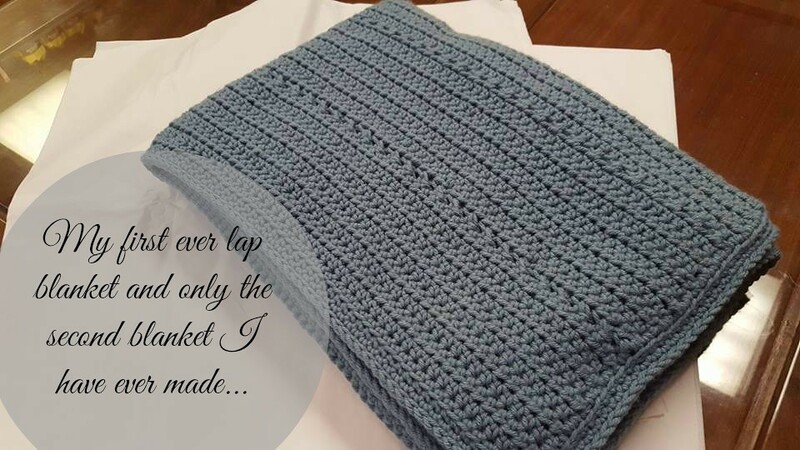 Most people think when you are knitting or crocheting for charity that the go-to places to give are hospitals and homeless shelters. Hats, blankets, and scarves flood shelters and adorable little baby hats cover newborns in about every hospital hall in the country as little old ladies work their fingers to the bone with their pink and blue yarn. Knowing this, I didn't want to just give for the sake of giving and I also didn't want to drown my creativity being told that "this" and only "this" type of pattern is acceptable and you must use only specific materials. Anyone who knows me will understand that I am not one to take authority of some natures lightly. 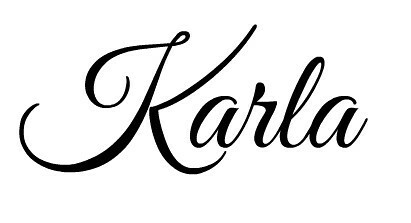 I understand you have restrictions, and forgive the condescending nature of what I am about to say, but if I am going to dedicate my time (which is pulled in a million directions as it is) and monies to you, let me do something I WANT to do in a way and manner that will make me happy doing it. For this and many, many other reasons, when I began recently searching for a charity I wanted to participate in I was drawn to that of Soldier's Angels. 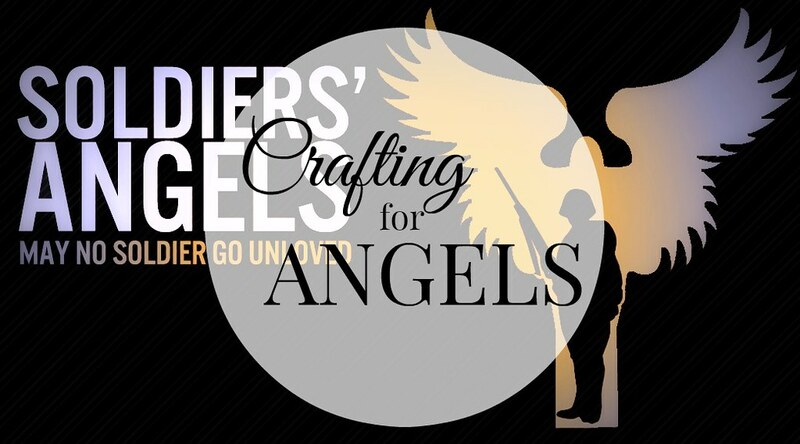 Soldiers' Angels is a national nonprofit organization that provides aid and comfort to the men and women of the United States Army, Marines, Navy, Air Force, Coast Guard, their families and a growing veteran population. Their volunteers assist veterans, wounded and deployed personnel and their families in a through a number of unique ways. Although they are based in Texas, they offer support to families as well as VA hospitals and centers all throughout the nation in addition to offering comfort and support to troop deployed overseas. "Founded by the mother of two American soldiers, we have hundreds of thousands of volunteers assisting veterans, wounded and deployed personnel and their families in a variety of unique and effective ways. 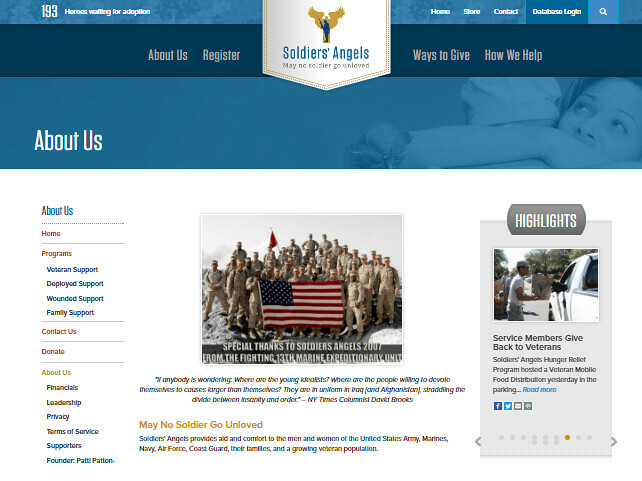 Soldiers’ Angels responds quickly to requests for support and provides individualized, immediate assistance. It is a “one-on-one, get it done quickly” organization. Our volunteer Angels at home adopt individual deployed troops and stay in touch throughout their deployment. Wounded soldiers and their families are asked what they need, and Soldiers’ Angels responds in a hundred different ways: voice-activated computers; financial assistance for loved ones to stay with their wounded family member; phone cards to call relatives who can’t visit as often as they wish, etc. Both the organization and the program have grown, but, unfortunately, the needs of our deployed soldiers and their families are growing even faster. This is especially true for our young men and women who are wounded. The government is providing first-class medical care for our wounded soldiers, but it will never be able to provide all of what they deserve and so many services desperately needed by their families. Soldiers’ Angels works closely with the Department of Defense, the nation’s major veterans groups and a variety of other military support organizations to make sure these brave young men and women who are being helped." As cliche' as it sounds, I was touched when researching the organization and unlike a lot of the other charities I was coming across when searching, Soldier's Angels is remarkably transparent (you may or may not have heard that many organizations who give back to the troops keep an awful lot of the donation money for operating costs as opposed to what you are led to believe). You can either do volunteer work on your own or join a team. 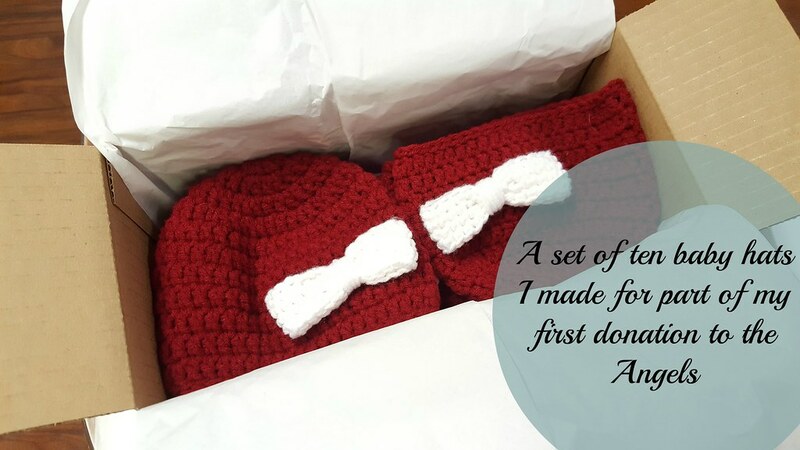 Angel teams write letters, crochet and knit blankets for VA hospitals, cancer centers, and for families of troops, and even send letters and cookies to our troops among other things. Last month was my first month making things for the Craft Team. I decided to make a stack of baby hats to send to the headquarters as well as a lap blanket to send to one of the VA Hospitals on the list. When you sign up, you are given access to a list of "opportunities" which you may select from. 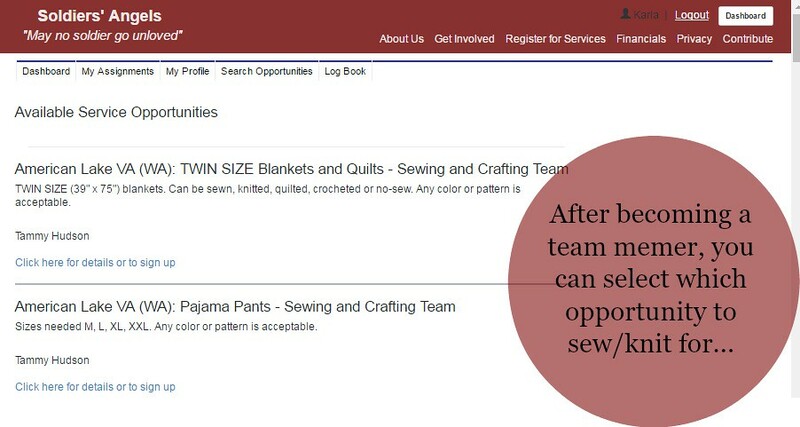 Being that I signed up for the sewing & craft team, all of the opportunities available are listed in that particular dashboard (for example, see above). You can choose one or many opportunities to complete each month. Then, once you have completed the request items, you send them directly to the needed site, wherever it may be. Not only did I not feel pressured to complete "X" task in "Y" time or have my time demanded, photographs and credentials required of me to join (as some organizations have informed me of during my search for charities), but the teams are incredibly organized and found time to respond to my emails when I had some difficulty joining. They are also available by telephone at their headquarters to answer questions and help you join a team. At the end of the month you log your time and costs in your dashboard and move on to something new if you wish or can apply to join an additional team and try something new. Even though I have only been volunteering my time for the past month and a half, I cannot help but promote the organization to others searching for a way to give back, whether it be through their time, money , or effort. 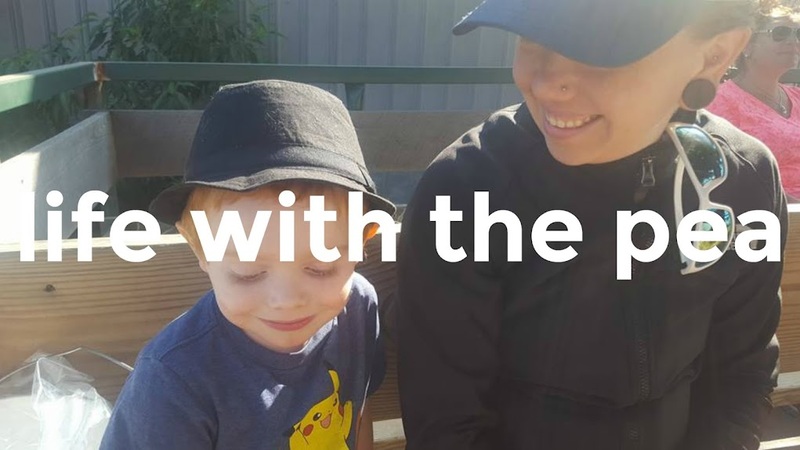 We all know a little can go a long way and through reading the articles and blog entries on the Soldier's Angels Website it is really wonderful to see how when people make a commitment to doing just something small that it makes such an amazing difference in the life of one person. And considering the amount of sacrifice not only the troops but their families go through as well a few hours of service a month can go a long way to making their day a little brighter and life a little easier. So please, if you have a moment, visit their website, read some of the testimonials, and donate an hour or more of your time to helping those who give so much.